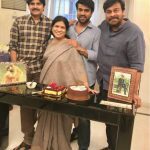 The picture says it all…Upasana shares this beautiful picture with us today from her Twitter handle. 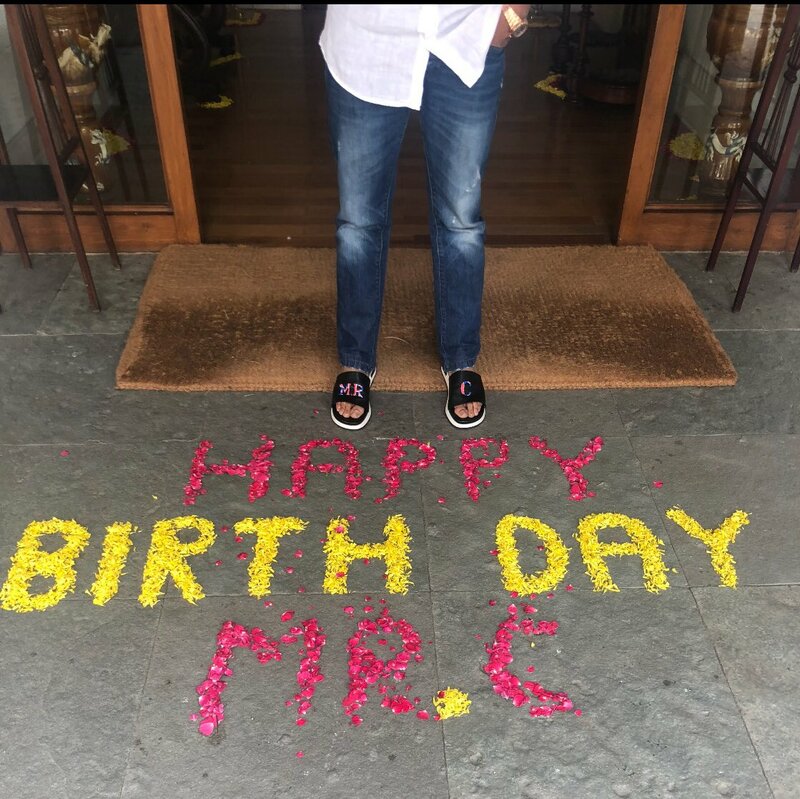 It really shows the love and efforts of the people who extremely love Mr.C. 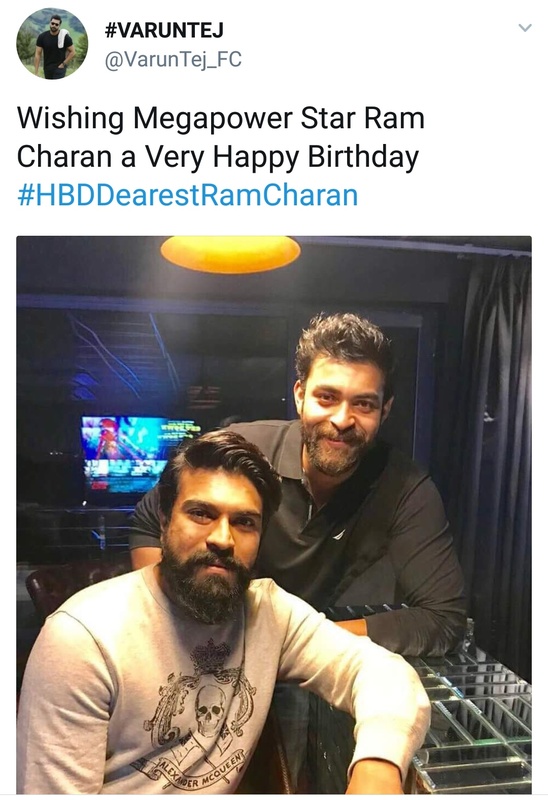 Ram Charan’s birthday is more special this year with the release of Rangasthalam. 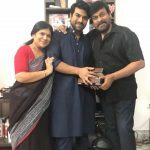 There’s lot of celebration amongst fans , family and friends. 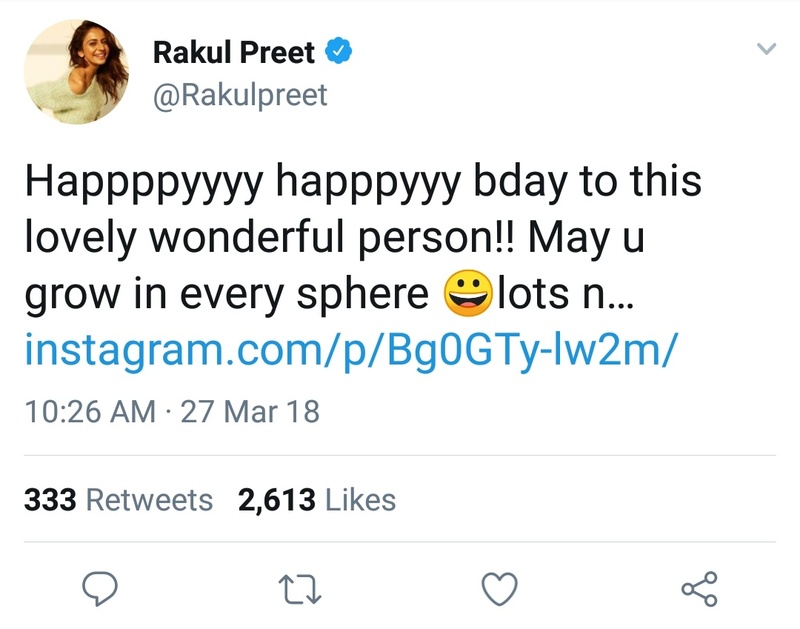 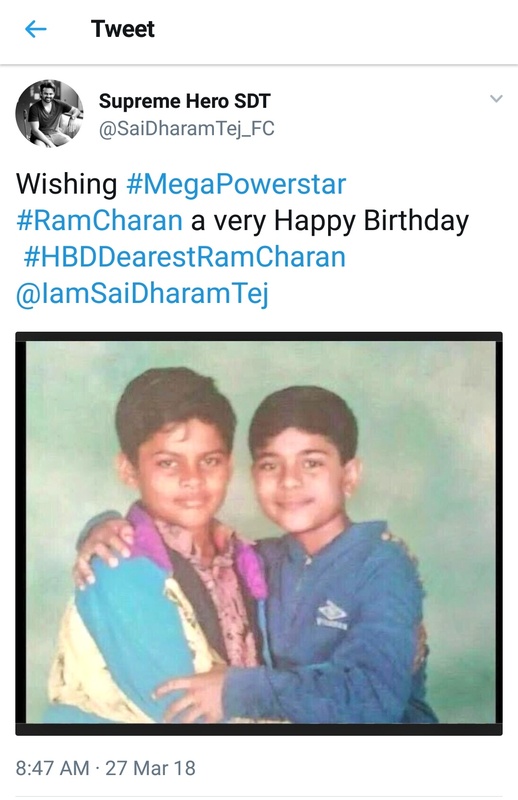 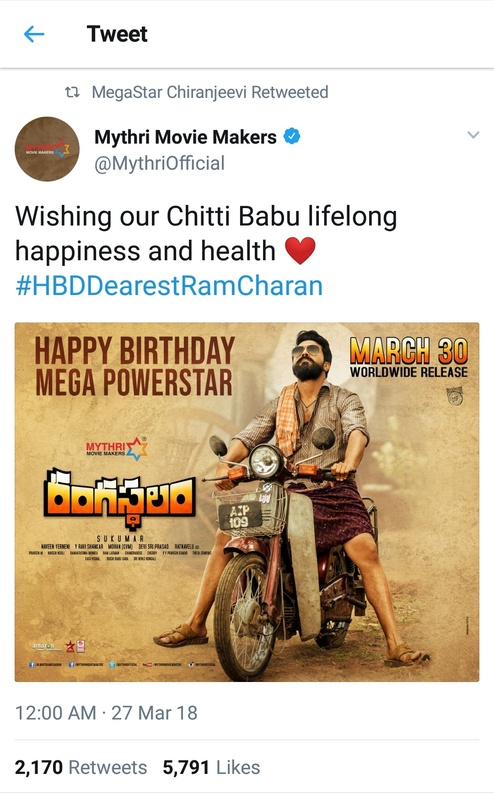 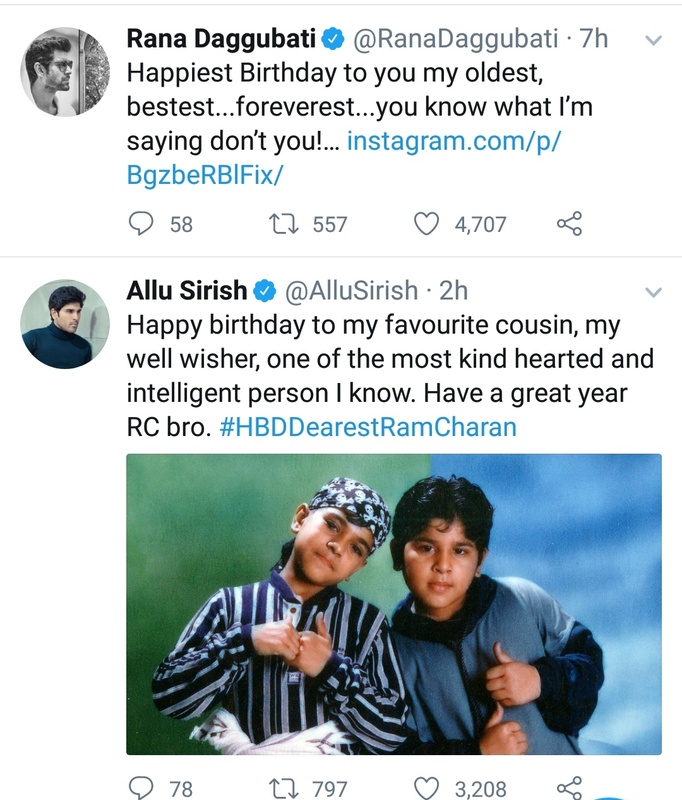 Wishes are pondering all over..Actors like Allu Sirish, Sai Dharam Tej, Rana Daggubati, Rakul Preet Singh,Varun Tej and Production unit Mythri Movie Makers have wished Ram Charan from Twitter.